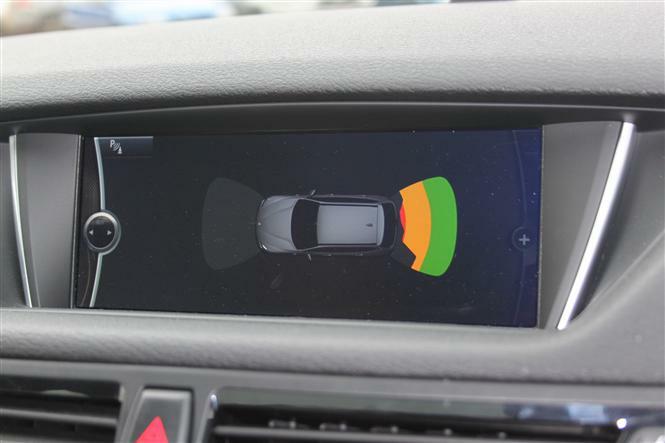 If your car has Parking sensors then this image would come up when you are parking. Rear View Camera Kit for BMW Z4 (E89) with NBT (CIC High) Navigation. 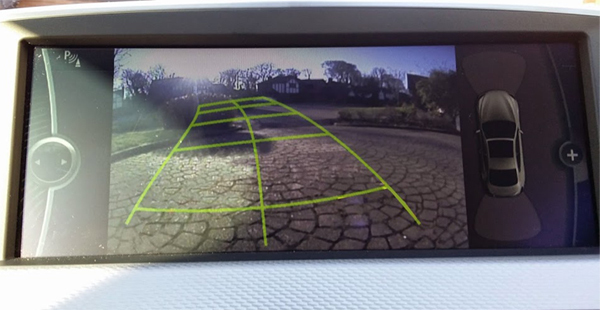 An integrated high-quality rear view camera kit, designed to work with your factory navigation system and BMW iDrive. Just like the factory camera kit you will get moving guide lines when turning the steering and also while maintaining the factory fitted front/rear sensors, will give you a new overlaid image on the rear image. A discreet universal camera is fitted near the boot grab handle and with its unique Sony CCD lens the resulting image on the iDrive is fantastic and in many cases better than the factory rear camera option. 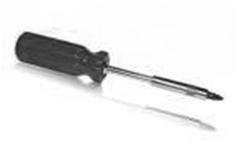 This kit has been specially designed with the manufacturer and has been perfected to work fully integrated with the BMW iDrive system. Please do not be fooled by cheaper alternatives which claim to utilise the iDrive system, but you lose factory rear parking display or you have to buy separate screens etc. No programming or coding required after the kit has been installed, as we have had the kits manufactured in such a way that all the software is built into it. Note: PDC (Park Distance Control) image will only be displayed horizontally and not vertically on this vehicle due to software limitation on the vehicle and not the kit.